Tucked behind some of the largest redwood trees known to man, lies a tiny town named Arcata. This coastal California town is where I spent four amazing years attending college. It is in this town that I started to learn who I was and truly grow as a person. 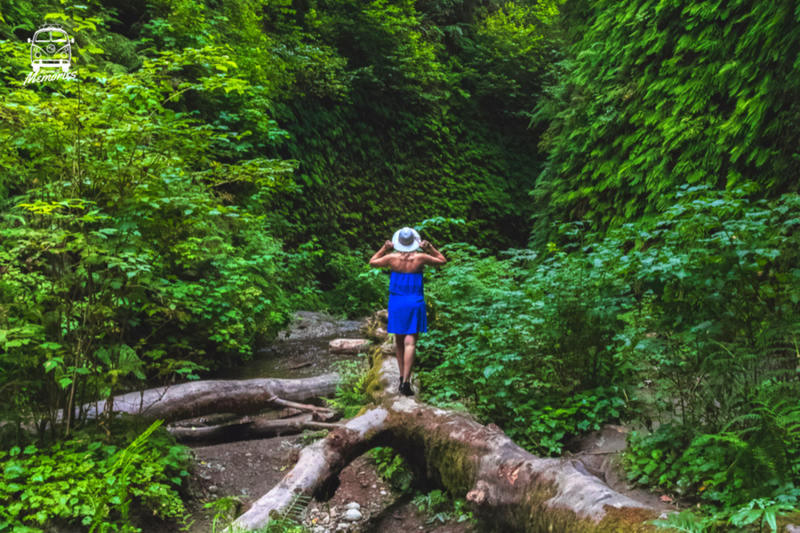 Filled with hippies, fresh air, and glorious redwoods, you can't help but feel connected to the local community and Mother Nature. After graduation I packed up my apartment and headed back to Southern California; it was one of the saddest days of my life. Between that sorrowful day and now, a lot has changed. I got married, adopted a dog, quit my job, moved out of our three bedroom house, and took off in a trailer to travel the U.S. with my husband. Of course, Arcata was high on the list of towns to visit. Stepping back into that quaint town was like stepping back in time. As we drove through those towering redwoods I could feel my heart buzzing with excitement. I was even more excited this time because I was able to share this special place with my husband! One particular day will stay in my memory forever. 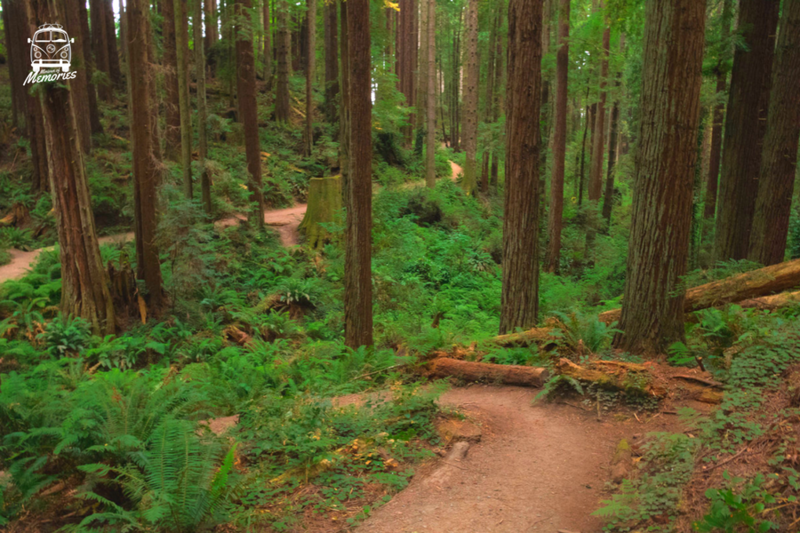 My husband and I had planned on taking a quick walk through the Arcata Community Forest but it turned into hours of exploration and wonderment. We played on the fallen trees, talked about our future, reminisced about our past, and thanked our lucky stars that we figured out how to travel full time. I must say, there is something truly magical about the redwoods. Not only do they radiate calmness but walking through them feels like you're walking through a fairytale. They make their presence known by towering over you and seem to exude knowledge. We ended this adventure-filled day by renting a private outdoor hot tub for an hour at Finnish Country Hot Tubs & Sauna. If I can only give you one recommendation of something to do in Arcata (besides walk through the redwoods) it would be to soak in private a hot tub outdoors. We spent the evening relaxing our muscles and soaking in how truly awesome life can be. This memory belongs to our Passenger Getaway Couple (@getaway_couple). All the pictures belong to Rae and Jason's personal archive. To know more about our Passenger Getaway Couple, click here.